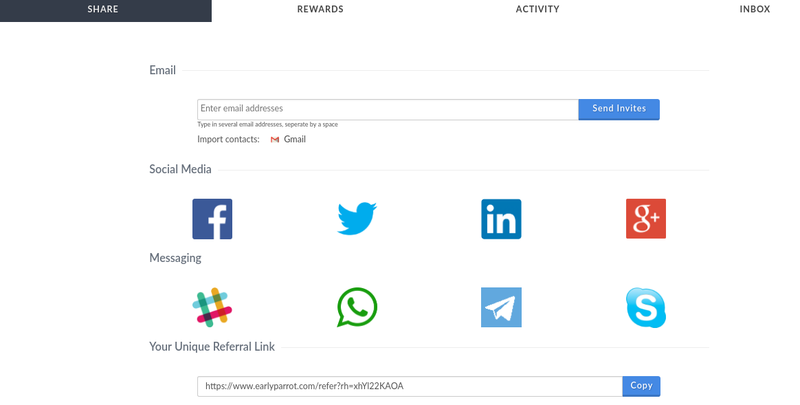 The rewards tab showcases all the rewards and their associated milestone that a referrer can get. The activity tab gives a brief overview of the activity of a particular referrer in a given campaign. The Inbox tab is where the referrer can view, read and reply to Inbox messages sent by you. When sending an Inbox Message via the EarlyParrot Inbox feature, subscribers will land on the share page on the Inbox tab. Such messages will help to get your referrers engaged and share your campaign more. How does the EarlyParrot Share Page work? The EarlyParrot share page works in an iFrame which will be embedded on your website. Your subscribers and referrers will not notice that you are using a third party solution as the Share Page styling can be tweaked in the branding step in the campaign create/edit wizard. 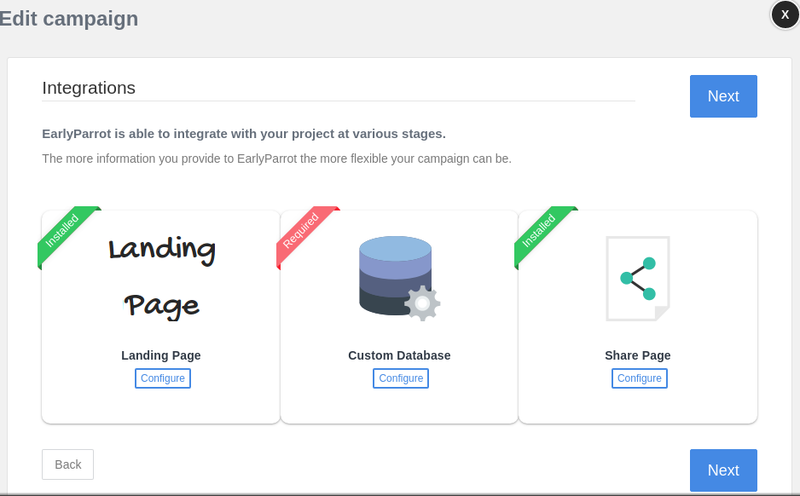 In the Integrations steps, in the create/edit campaign wizard, you will get to install the share page. 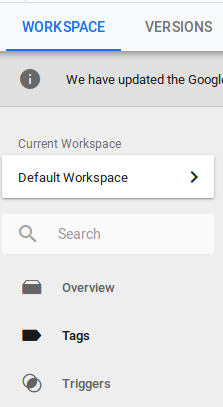 Click on the configure button under the Share Page. 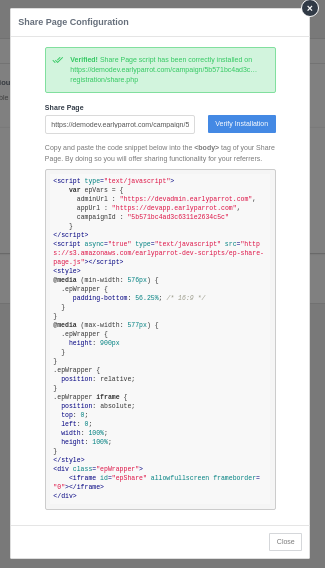 Copy the provided script and paste it in the BODY section of your share page. Enter the URL of the share page in the provided input box and click Verify Installation. EarlyParrot will verify your share page installation and will guide you accordingly. 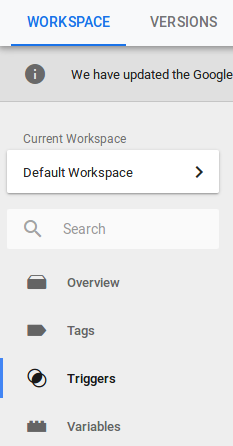 Whilst placing scripts directly on pages will work, we strongly recommend you use Google Tag Manager to install and manage your scripts. Check out Method 2 for more information on how to install Share Page scripts via Google Tag Manager. 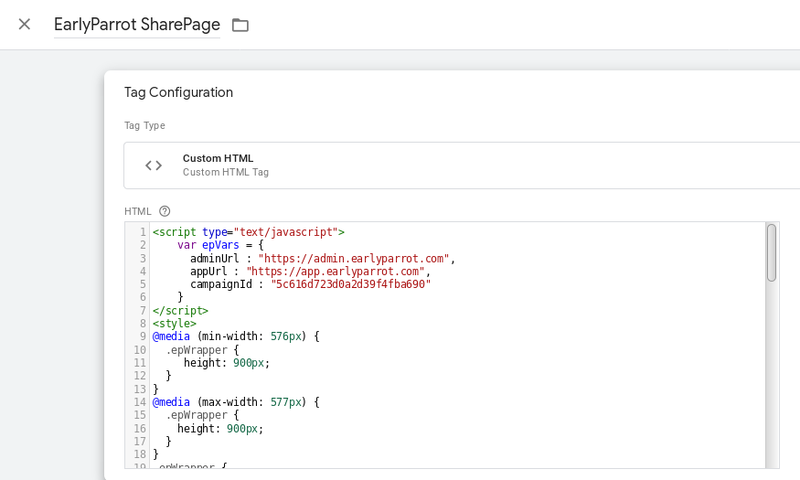 Google Tag Manager will allow you to install, test, deploy and even rollback scripts with ease. To install the share page script via Google Tag Manager you must have Google Tag Manager installed on your website. Once you have Google Tag Manager installed, you are ready to install and deploy EarlyParrot scripts including Share Page script. Call it EarlyParrot Share Page Trigger. 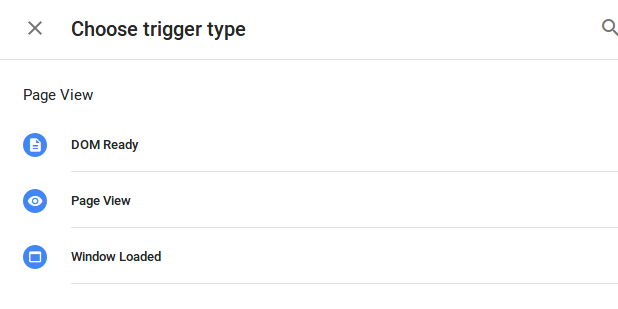 Set the trigger condition to make sure it triggers only on the share page URL. Call it EarlyParrot Share Page and paste the following script. Please make sure you replace YOUR_CAMPAIGN_ID with your valid campaign id. Set the trigger to EarlyParrot Share Page Trigger. Enter the URL of the share page in the provided input box and click Verify Installation.